Using managed solutions to deploy customizations from a source environment (usually Development) to other environments (Test, Production, etc.) is a best practice that has been pushed by Microsoft for a very long time now. Matt Barbour, Principal PM on the Dynamics 365 Customer Engagement Platform, did an excellent job last year at Microsoft Ignite to explain why, and how Microsoft has improved solution management in the Common Data Service for Apps: Microsoft Dynamics 365 CE Platform Update for Developers (watch after 3m39 for the bit on solutions). 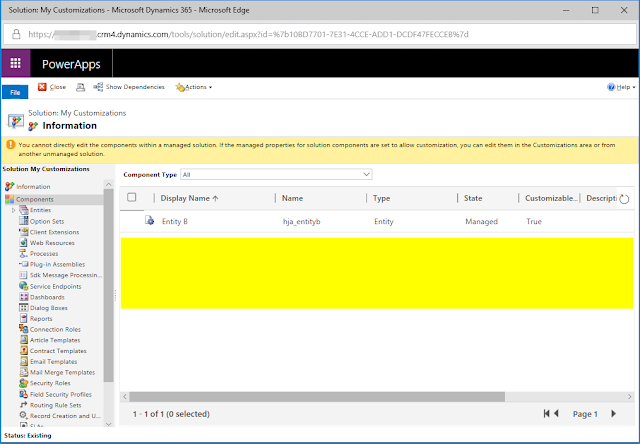 Jonas Rapp, Microsoft Business Applications MVP, also recently blogged about it: Case closed: Managed or Unmanaged solutions in Microsoft Dynamics 365 / CRM. specific fields for an entity), or the ability to delete components (such as entities, views, fields, etc.) 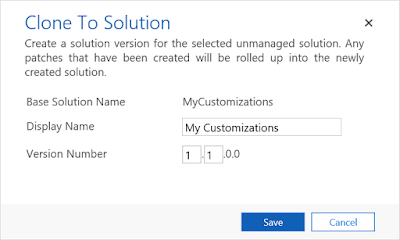 from environments where the solution had already been previously deployed with those customization. 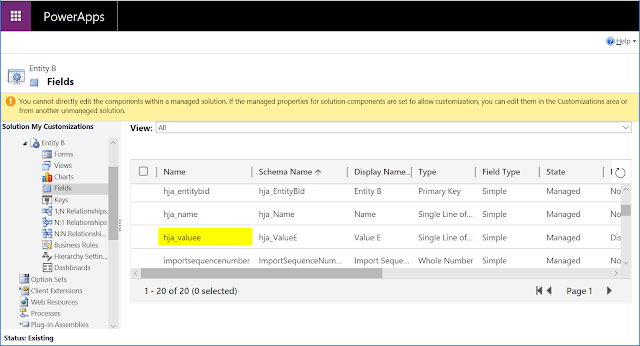 Of course it has always been possible to delete components from a target managed environment, but by playing around with the solution XML and by using the concept of "holding" solutions. I will focus in this article on how to delete components from target environments with the use of the "Clone Solution" option. 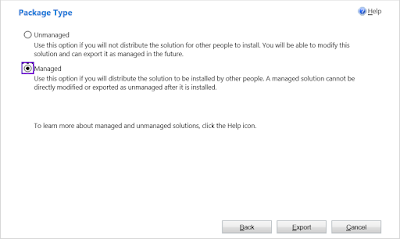 Note: cloning the solution this is not a mandatory step, but this will result in all existing patches being merged into the main unmanaged solution, and this will also guide the user in incrementing the solution's major version numbers. 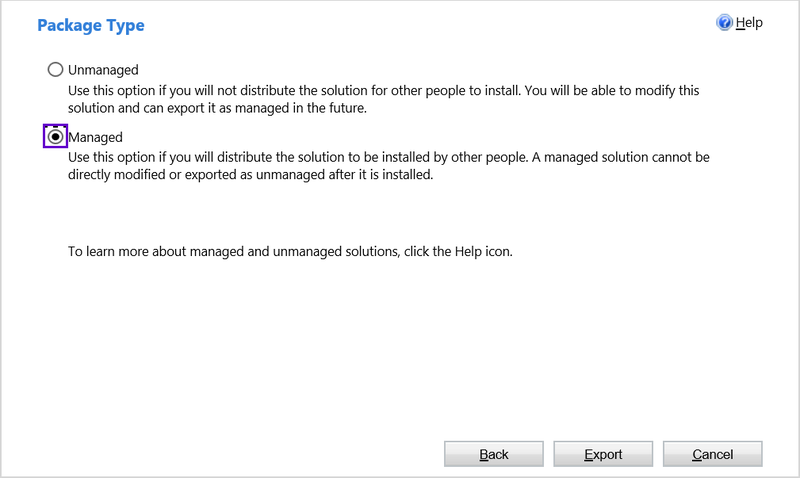 Imagine you have deployed customizations from development to production in the version 1.0.0.0 of a managed solution. Later in the project, due to new or changing requirements, you need to delete some of these components (in my example an entity, a field, a security role and a workflow) from development and production environments. If you try to delete one the components manually in production, you will get this kind of error, because the components are in a managed state. 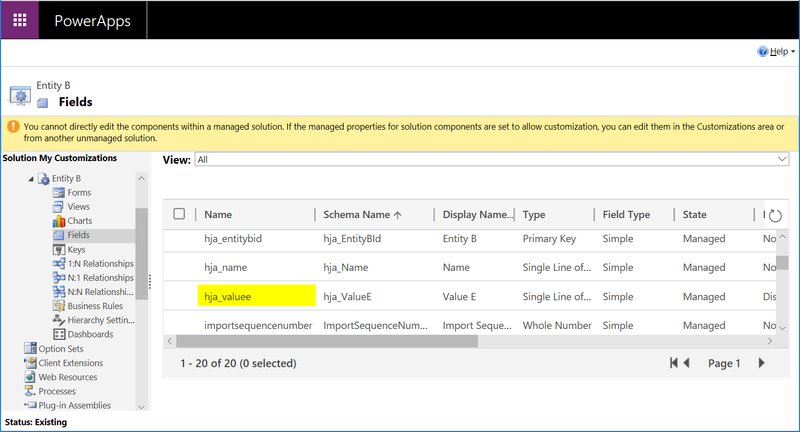 Select your unmanaged solution from the list, and click "Clone Solution"
Start by deleting the unwanted components from your unmanaged source solution, in your development environment. In my case, I have deleted "Workflow C", "Security Role D", "Entity A", and the field "Value E" from "Entity B". 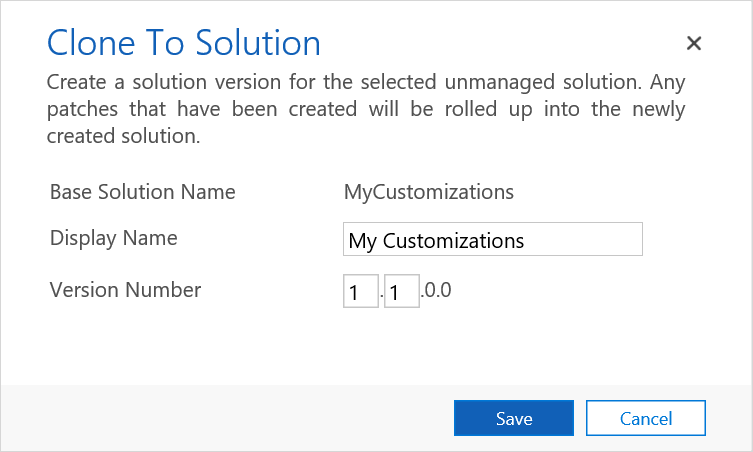 Now export your customizations in a new managed solution. 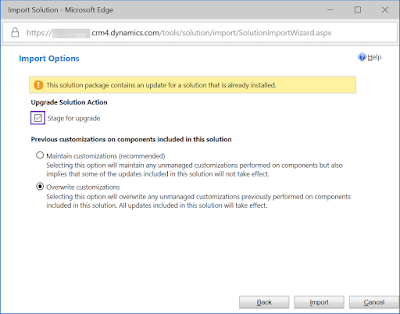 Staging the upgrade enables to choose when to apply changes that come with the upgrade (for example the actual deletion of components). You will notice that a second solution is installed (with the incremented number and with "_Upgrade" in the solution name). 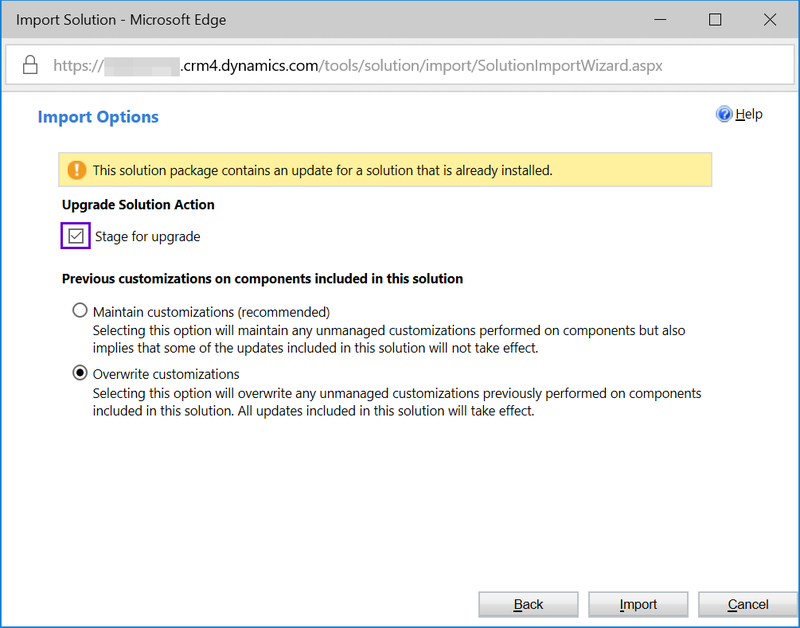 Deploying an upgrade of a managed solution will not allow you to replace existing components that have identical system names. 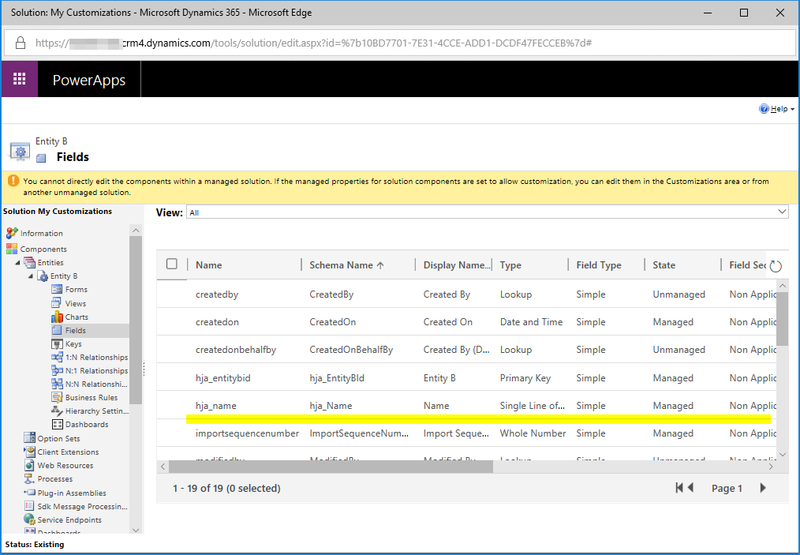 So for example if you want to switch the type of a field that has a system name "new_value" from decimal to currency, you will get an error when deploying the solution, as the attribute will still exist at the time you try to deploy the solution. To achieve that, you first need to delete the component in the target environment before recreating it with the desired system name / type.